Texas drivers who are injured in a car accident have a little more reason to celebrate after the latest Texas legislative session. After a prolonged assault on various personal injury victims by pro-insurance backed legislation, Texas lawmakers have made it a little harder to avoid an injury lawyer’s claim in certain circumstances. 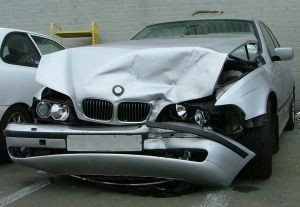 Furthermore, the new legislation helps insured car owners whose car’s are damaged when someone else operates the vehicle. 2. It limits “named driver” exclusions to those who are specifically named instead of merely naming a class of persons to be excluded. In the past, many drivers who thought that their vehicle was always insured when another driver was driving with the owner’s permission would often times be unpleasantly surprised that their insurance carrier would deny coverage. The denials stemmed from “junk policies” that incorporated language in the fine print that overwhelmingly and broadly denied coverage for a general group of potential drivers. Now, individuals who are not covered under car insurance policies are required to identify the driver by name. If no such specificity exists, the driver will not be excluded. There are a few common types of drivers that insurance carriers attempt to exclude coverage for under automobile policies. Young drivers who just obtained a driver’s license are common exclusions. Drivers who have a history of traffic violations or a DWI are commonly excluded as well. But a broad stroke of a brush to exclude such drivers is no longer sufficient under HB 1773. To exclude sixteen year-old James Smith, Jr. for example, the auto policy would need to specifically name “James Smith, Jr.” under the “excluded” driver section of the policy. In 2003, the Texas insurance industry became deregulated. Since that time, Texas drivers have seen numerous ways that insurance carriers would happily accept insurance premiums only to find policy language to deny coverage. Sometimes the policies are crafted with certain language that does prohibit coverage. A Texas driver should work with his or her insurance agent to ensure that the driver understands exactly to what extent the policy covers for Personal Injury Protection (“PIP”), uninsured or underinsured motorists, liability, and property damage. In some cases, the policy language does call for coverage. But a driver’s claim is still denied because the insurance company tries to creatively skirt its responsibility in the hope the driver will simply go away. A well versed auto accident attorney will know evolving Texas insurance law and can assist drivers in pursuing a claim against the driver’s or another liable parties’ insurance carrier. No matter how nice the insurance company seems over the phone or on a spiffy commercial, an insurance adjuster does not have a driver’s best interest at heart. In fact, most adjusters are trained, encouraged, and held accountable for how much money it takes to resolve claims. Obviously, the lower they can settle a claim the better the insurance adjuster does. Hiring a Texas personal injury lawyer helps the driver recover the deserved amount of compensation and evens the playing field.